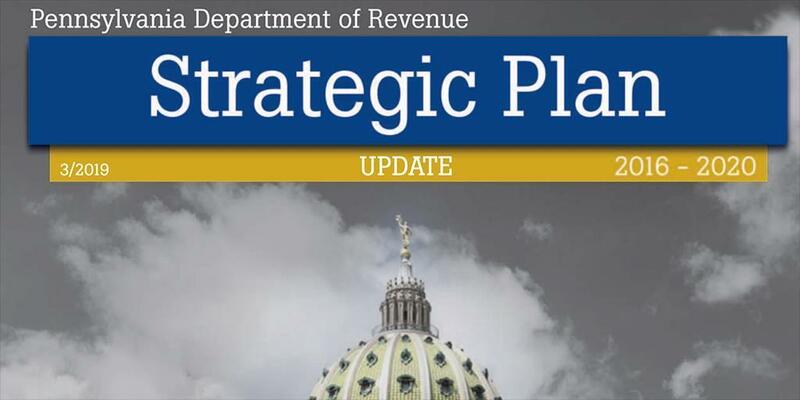 The Department of Revenue is encouraging taxpayers and tax professionals to read about the department’s recent improvements. 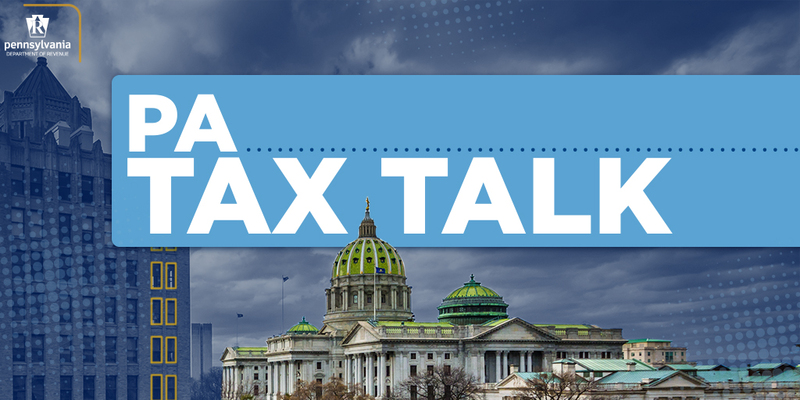 The Tax Cuts and Jobs Act of 2017 introduced various changes to the federal tax code. 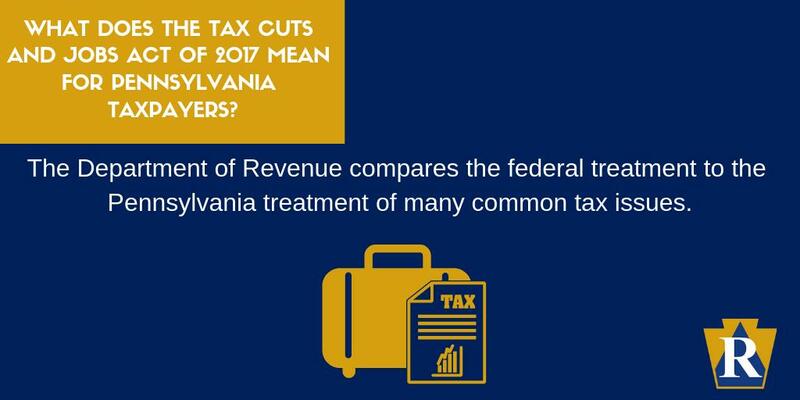 Read More About: What Does the Tax Cuts and Jobs Act of 2017 Mean for Pennsylvania Taxpayers? 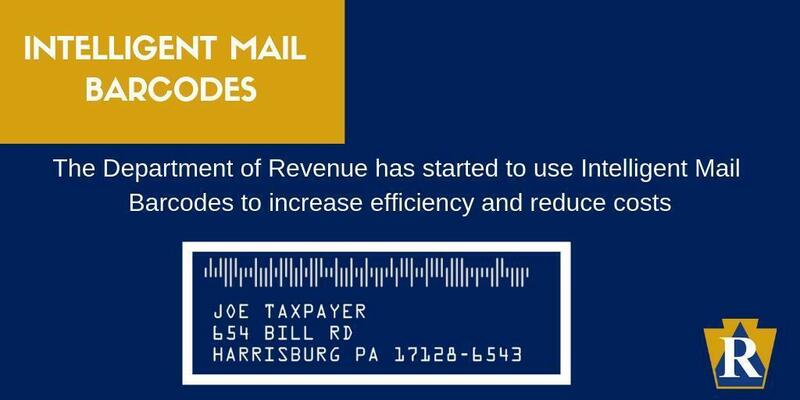 The department has started the use of Intelligent Mail Barcodes (IMB) on the correspondence that is mailed to Pennsylvania taxpayers. 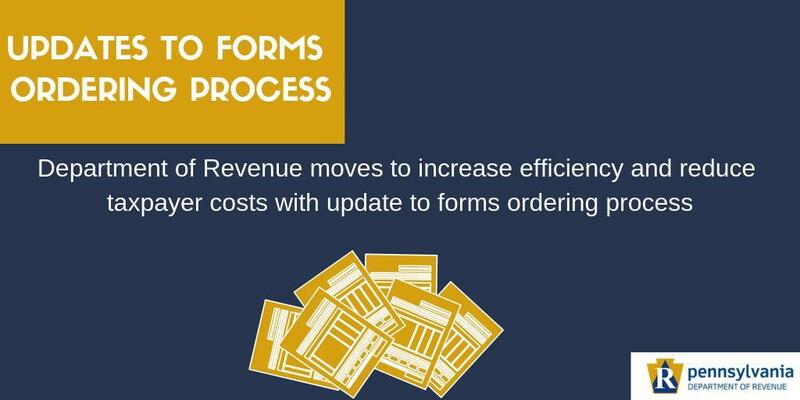 The department is reminding taxpayers that it has started to discontinue the practice of processing bulk orders of paper tax forms. 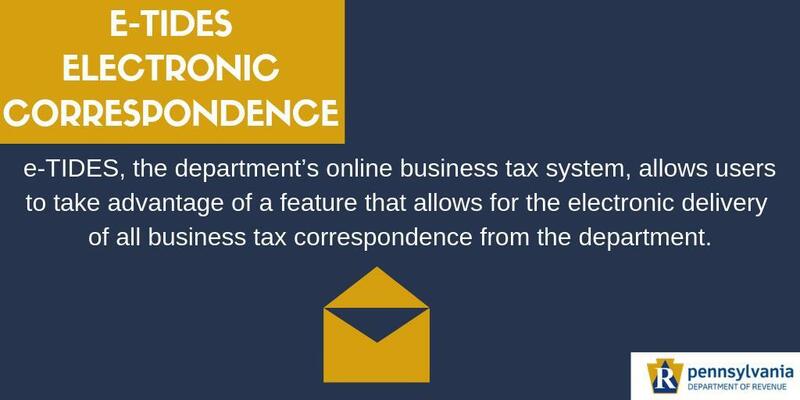 e-TIDES, the department's online business tax system, allows for the electronic delivery of all business tax correspondence. 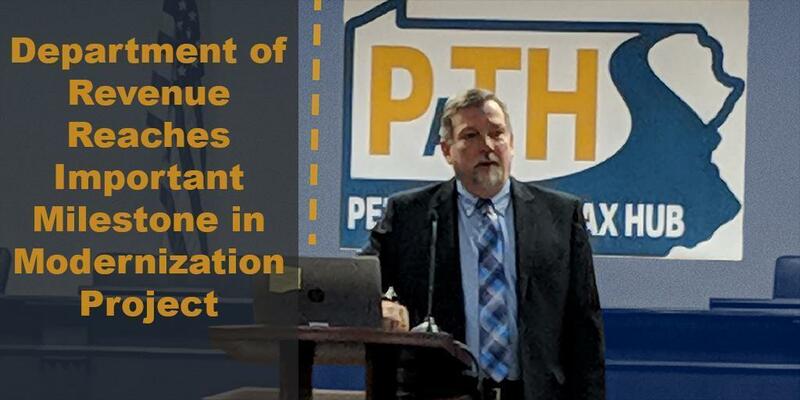 In an effort to deliver exceptional customer service, the Department of Revenue offers a Voluntary Disclosure Program.